Hi everyone, hope you had a wonderful weekend! 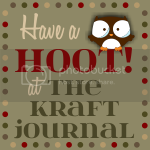 We have a new Challenge - Junky Junk here at the Kraft Journal and we hope you are ready for some wonderful inspiration. For this week's "Funky Junk" Challenge, Karen wasn't quite sure what to create. But, looking at all her fun Kraft Outlet supplies, it just kind of came together. She started with pieces of Precut Chipboard and created a mini album (bound with her Zutter). The front has a decorated Small Kraft Paper Sack. 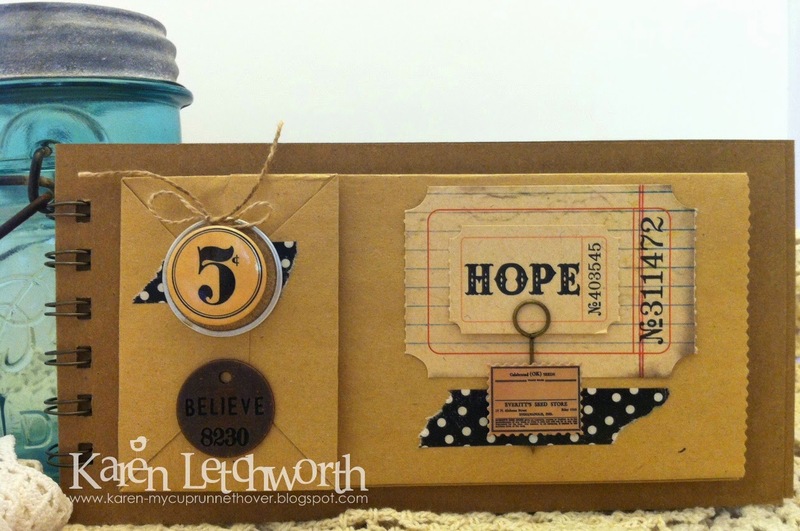 On the right, you will see a Tim Holtz Memo Pin holding a (hope) Tim Holtz Journaling Ticket & Adage Ticket as well as some Black & White Polka Dot Washi Tape and a cute sticker from the Jenni Bowlin General Store Postage Stamp. On the left, you'll see another snippet of the Black & White Polka Dot Washi Tape and a Round Metal-Edged Grungy Prim Tag with a (5 cent) Jenni Bowlin Flatback Flair. 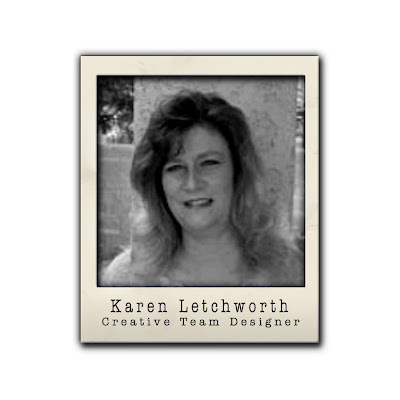 On this page, Karen made a photo mat from Pre-Cut Chipboard with its edges touched with cream acrylic paint. There's another length of the Black & White Polka Dot Washi Tape at the bottom border, and on the left side you will see a Mini Kraft Merchandise Bag which holds a Jenni Bowlin Vintage Mini Deck Journaling Card. It's decorated with some Ephemera, a postage sticker from the Jenni Bowlin General Store Postage Stamp Sticker Set. She also die-cut a flower using a Vintage Gin Rummy Sheet. Karen absolutely LOVES including the Kraft Outlet's different Lunch Sack/Kraft Paper Bags in her mini albums to use as journaling pockets, or a place to hide a gift card, tuck in photos, etc. They're just SO versatile. She hopes that you will play along in this week's "Funky Junk" Challenge. To see photos of the additional pages in her mini album, please visit Karen's blog, My Cup Runneth Over. For this week's Funky Junk challenge, Tammy used a variety of products from The Kraft Outlet to get her started. She started with a Brown Kraft Cover Weight Cardstock onto which she pieced together her patterned papers to Blackboard Stock Paper. 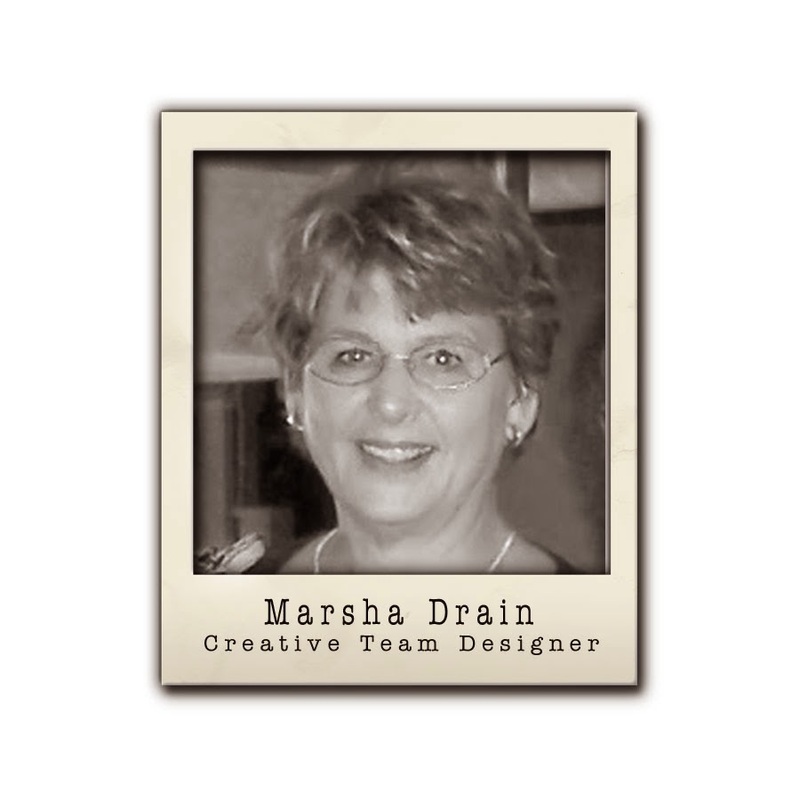 Using the Lost and Found Salvage Stickers, she added the measuring tape and clock face to the card front. In the center of the clock, she added some Vintage Dictionary Pages, a button atop an Earthy Hemp Bow. 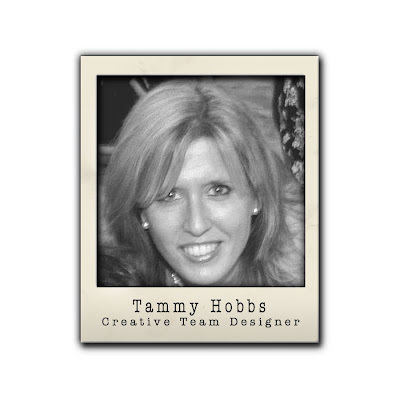 Tammy did a little further embellishing by adding a Chipboard Button to the right of the clock which also was laced with Earthy Hemp twine. 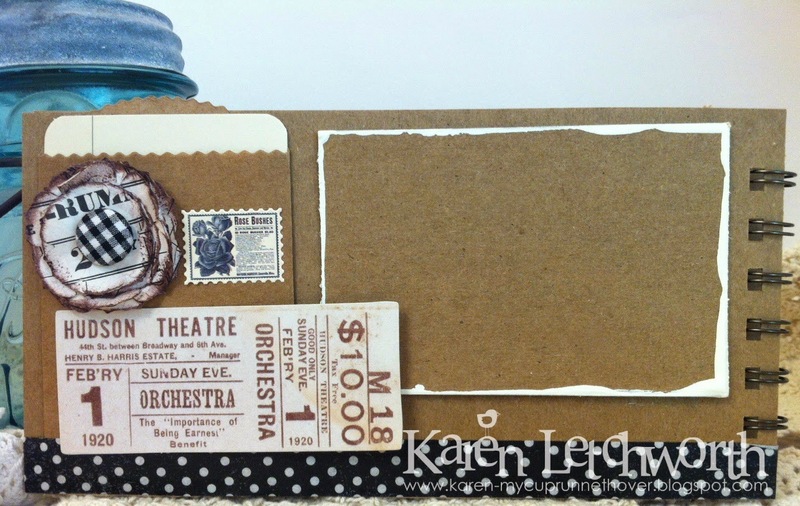 Tammy used a partial Journaling Ticket and added her own sentiment using Chit Chat Stickers. Lastly she added a length of antique vintage lace across the top to complete the look. For additional pictures and a complete supply list, please visit Tammy at Creating Somewhere Under The Sun. 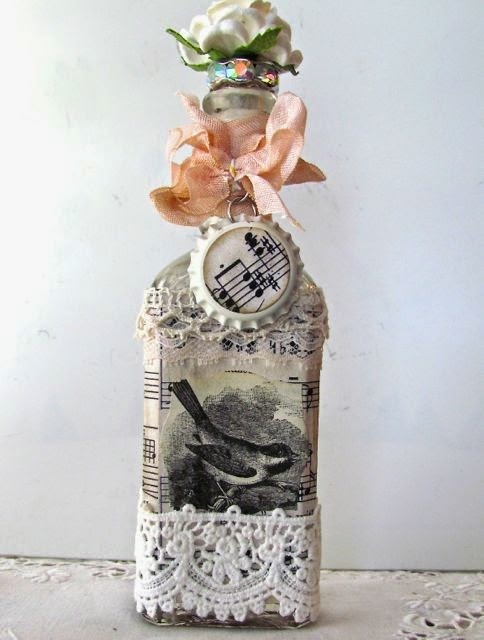 For this week's "Funky Junk" challenge Anitra altered a vintage bottle she found years ago in the dirt at a Texas Ranch. After she cleaned it up a bit she adhered some Vintage Sheet Music paper around the entire bottle. Next she found a bird image from the Vintage Dictionary Pages pack. These two elements work so well together. Anitra then added laces from her stash along with some Rose Beige Hand Stained Bias Tape. For an added embellishments Anitra added a Silver Bottle Cap which she painted in heirloom white. These bottle caps from the Kraft Outlet come 50 in a pack, and Anitra loves painting them to match her projects for a perfect custom look! To the top of the bottle cap Anitra added more of the Vintage Sheet Music paper. To finish her project she added a spacer bead along with a paper flower to the top of the bottle. For more information on Anitra's project please visit her blog Stamping While They Sleep.